Encryption Debates Resurface. Last week’s terrorists attacks in Paris reignited debates over encryption. Officials suspect the attackers may have used encrypted messaging systems to coordinate the plots, (though nothing has been confirmed.) Policymakers are again considering whether the law should require tech companies create “backdoors” for law enforcement, making it easier for officials to track and disrupt threats. Many in the tech community, including Apple, have publicly opposed such backdoors for government, arguing these restricted access points could make their systems more vulnerable. $100 Million in Grants for Tech Training. This week, White House representatives were in Baltimore to announce the expansion of its TechHire initiative with the launch of a $100 million grant competition. TechHire, which launched in March, involves education and employer partnerships in dozens of regions across the U.S., all dedicated to training, recruiting, and placing more Americans in tech jobs. Awards from this new grant will go to programs across the country that serve Americans who face barriers to entering the tech sector, whether those are educational, geographical or income-based. Startup Equity in Highway Bill. A little known piece of startup-friendly legislation has made its way onto the highway bill, the massive federal transportation bill that lawmakers in the House and Senate are scrambling to finalize. This unrelated legislation is the RAISE Act, which would more easily allow startup employees to sell company equity to accredited investors. In October, the House passed the bill unanimously, but it hasn’t yet made its way to the Senate floor. We won’t know until December whether these new rules will remain in the highway bill - federal funding for roads has been extended to December 4 while Congress hashes out the details of the new bill. Chicago Limits Drones. Chicago’s city council passed a bill banning certain uses of drones. The first bill of its kind, the rules will potentially hinder hobbyist use. Chicago’s ordinance, in line with FAA regulations, prohibits drones from flying above 400 feet, flying within five miles of and flying over schools, churches, hospitals, police stations, and any private property without consent. Chicago has experienced some uncomfortably close encounters with drones: one crashed Midway airport’s runway and another flew frightening close to crowds gathered at Lollapalooza. Patent Reform will Encourage Innovation. Executive Director Julie Samuels was featured in a series of perspectives on patent reform in the Washington Post. Her perspective: if Congress does not pass patent reform legislation, patents will inhibit the innovation they set out to incentivize. Innovative inventors and young companies are being threatened by “patent trolls” that are wielding bad patents, frivolous infringement allegations, and exploiting loopholes in an expensive patent litigation system. Unfortunately, legislation that would help relieve startups and stop trolls is stalled in Congress - largely because of incumbent interests, e.g. the pharmaceutical industry (PhRMA). The bottom line: the one-size-fits-all patent system that has long worked for PhRMA is not working for software. ICYMI: November is National Entrepreneurship Month. In other news from the White House, President Obama has issued an official presidential proclamation designating the month of November as National Entrepreneurship Month. “Since our Nation's founding, our progress has been fueled by an inherent sense of purpose and ingenuity in our people. Americans have more opportunities now than ever before to carry forward this legacy - to create something, to raise capital in creative ways, and to pursue aspirations,” states the proclamation. While we’re always celebrating the work of entrepreneurs, it’s great to see policymakers and organizations across the country rally behind them this month. Today, there are around 5.5 million unfilled jobs in the United States. According to the White House, over half of these openings are in technology fields including software development, network administration, and cybersecurity. These are just the current numbers. By 2022, the Bureau of Labor Statistics estimates computer-related occupations will yield more than 1.3 million job openings - openings at major technology companies and yet-to-be-founded startups. Meanwhile, millions of Americans, notably young Americans, are out of work or under-employed. This significant gap inspired the White House’s TechHire initiative, which launched last March. The effort involves education and employer partnerships in dozens of regions across the U.S., all dedicated to training, recruiting, and placing more Americans in tech jobs. This week, the administration announced it’s expanding the program with a $100 million grant competition for programs focused on supporting more Americans in accessing these high-demand, well-paying jobs with $50 million set aside for 17 to 29-year-olds. The Department of Labor has released the application for these grants and says awards will be made next year. 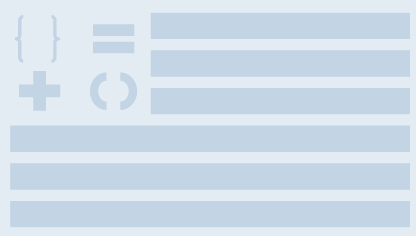 It’s specifically looking for innovative programs that serve Americans who face barriers to entering the tech sector, whether those are educational, geographical or income-based. The need for these programs is real. As we’ve highlighted and discussed at length, today’s tech sector is far too homogeneous in both its makeup of both employees as well as founders. This is bad for the industry: We know more diverse teams perform better. It’s bad for users: Technology’s tools are used by everyone, so should be developed by a greater diversity of thinkers with different experiences and backgrounds. And as the numbers show, it’s bad for our economy: We simply need more Americans filling these jobs. Coding bootcamps are among the innovative educational programs this new grant could support. Bootcamps teach students job-ready web development languages at an accelerated pace, usually within a few months. Curriculums are often designed for and highly adaptable to market demand, allowing some bootcamps to boast job placement rates of over 90 percent. Yet, a majority of the students enrolling in coding bootcamps pay out of pocket - many programs are mpt accredited and therefore, ineligible for federal student aid. These students are also predominantly white men with bachelor’s degrees. Grant funding could expand access to these programs for more potential tech workers. Representatives from the White House discussed the new grant at an event in Baltimore earlier this week, one of the 35 cities, states, and rural areas that have established TechHire-supported programs. Our trip to Baltimore last month showcased the city’s commitment to bringing more residents into its emerging tech workforce. National companies like Under Armour, and newer startups like ZeroFox, are leading the city’s startup ecosystem there. With concerted efforts to train more local talent, these companies could soon have new hiring pools to tap into. As one Baltimore investor told the audience, tech talent is more important to growing local companies than capital. On Friday, we were honored to join the organization, VetTechTrek (VTT), on their New York City trek into the offices of ten tech companies.VetTechTrek’s mission is “to build a known path between the military and tech...by breaking the mold of traditional recruiting practices.” Over the course of two days, they brought over twenty veterans, and current servicemembers nearing their military exits, into tech companies, incubators, and coworking spaces to connect them directly with current employees and see first-hand the atmosphere and opportunitiesin the industry. Not only does the experience support veterans by expanding their networks with host companies, but the VTT program supports community building among veteran participants. At a high level, how to translate veteran resumes, what the company is looking for in their employees, and how veterans’ military skills fit into roles at a specific company. What veterans should look for in the company they work for, depending on their interests, personal goals, and values. How veterans should best position themselves for the jobs they want and the importance of building a network. How military experience is an asset—an asset that brings critical skills to the company workforce and diversity that improves the product. The group visited more than ten tech companies including, Uber, Venmo, and Warby Parker. Seeing very different spaces and business models back-to-back allowed participants to understand the breadth of companies in the tech sector and the importance of finding a company that aligns with their own needs and values. However, what was consistent across the companies visited was the overall feeling that company employees are dedicated to their products and care about making an impact, a feeling very familiar for former and current servicemembers. It was an empowering afternoon seeing an organization directly strengthening the #VetsWhoTech pipeline. For more information on the trek, read VTT’s recap. #VetsWhoTech on Veterans Week: The passage of Veteran’s Day offered a moment for the tech community recognize the enormous contributions of our service men and women, the lessons we can learn from them, and the plain fact that veterans are very much a part of the tech and startup workforce. We’ve highlighted some of their stories and unique career paths in a booklet that profiles seven successful veterans in the technology industry. Yet, as these stories underscore, the current offerings covered by veterans benefits are woefully outdated. In an oped, Engine Executive Director Julie Samuels called on Congress to fix the challenges facing veterans looking to transition into the tech industry: "Trained as leaders and decision makers in complex situations, many veterans have the fundamentals to quickly learn or adapt problem-solving skills as an entrepreneur launching a startup or an engineer at a tech company.” It’s time policymakers address the limitations of veterans benefits in a changing economy. Congress' Copyright Listening Tour. Since the spring of 2013, when the Register of Copyrights called for Congress to write “Next Great Copyright Act,” the House Judiciary Committee has held more than 20 fact-finding events to solicit opinions from a variety of stakeholders about what reforms they should pursue. This lengthy “listening tour” took a swing through California this week with stops in Silicon Valley and Los Angeles. The Northern California roundtable featured participants from all segments of the tech sector, from startups and larger tech companies to investors, academics, and advocacy organizations. The conversation was refreshingly in-depth throughout, including a series of exchanges between the Representatives and panelists about the need for fixes to copyright’s statutory damages regime. While participants were generally supportive of the DMCA, they also highlighted the need to address the growing problem of false takedown notices, which disproportionately hurt small companies. Court Rules ITC Can’t Block Overseas Data Flow. The US Court of Appeals ruled in ClearCorrect v. ITC this week that the International Trade Commission (ITC) does not have the authority to block the electronic transmission of digital data from overseas. The ITC has typically had authority to block the importation of solely material, patent-infringing devices - and the Court confirmed this. This is an important decision because, as Charles Duan of Public Knowledge states, it “helps to ensure that Internet users have unfettered access to the free flow of information that has proved so useful for innovation and free expression.” The entertainment industry, however, is disappointed in the ruling which they hoped would have authorized the ITC prevent the import of pirated movies, books, and other digital goods. Gig Economy Politics Makes Strange Bedfellows. Tuesday saw the emergence of an unlikely alliance between gig economy giants and labor groups. In a letter addressed to regulators, the coalition of 37 startups, VCs, labor advocates, and thought leaders called for “a stable and flexible safety net for all types of work […] regardless of employment classification.” The letter presented more of a framework than clear, concrete solutions to the current worker classification conundrum. But the group did highlight the need for easier and more expansive access to the sorts of benefits that are traditionally enjoyed by full-time employees. Notably absent from the letter was Uber, which is embroiled in its own legal battles around this issue. Clay Shirky on Online Education. In a compelling essay on Medium, Clay Shirky writes that the digital revolution in higher education isn't the future, it is already happening. Millions of undergraduates enroll in online courses every semester and have now for several years. Shirky points out this shift towards online learning is less a pedagogical change than an organizational one that is serving a far wider population of college students than the public conversation about higher-ed tends to focus on. Online education offerings are not only more affordable than traditional college courses, they also meet "a demand for more flexibility by students who have to manage the increasingly complicated triangle of work, family, and school." Immigration Arguments Making Headlines. A handful of immigration issues made headlines this week. A federal appeals court ruled against the Obama administration's Deferred Action for Parents of Americans (DAPA) plans and Republican presidential candidates sparred over one another's positions on amnesty. Nonetheless, few candidates are discussing proposals to reform or expand the nation's high-skilled immigration system, where problems also persist. This week, The New York Times reported on the particular challenges small companies face in the competition for limited H-1B visas. Large outsourcing companies have flooded the system with requests in recent years and in 2014, just 20 employers acquired 40 percent of the available visas. In other vias news, the Department of Homeland Security is considering amending its Operational Practical Training program to extend the length of time foreign students in STEM fields can remain in the U.S. The agency is accepting comments on this proposed change until Nov. 18. More Spectrum, Please. Did you know that by the end of this decade, over 50 billion “things” will connect wirelessly - from your thermostat to your car to your fitness tracker? Or that in the same time period, mobile data traffic is projected to increase seven-fold? What about the fact that the federal government controls the vast majority of spectrum, the invisible airwaves that enable these wireless products and services? In the second post in our Broadband Solutions Series, we take a look at why making more government spectrum available for commercial use is essential to improving competition and unleashing the next wave of mobile innovation. Today, over one million students from foreign countries are pursuing their educations in the United States. And according to the Department of Homeland Security (DHS), about 38 percent of these students are studying in STEM fields, earning degrees in one of the fastest-growing sectors in the American economy. Despite the demand for STEM-educated workers, many of these students have limited options if they want to remain in the United States after graduation. One of these options, the Optional Practical Training (OPT) program, extends the F-1 student visa for a short period to offer graduates a runway to gain additional on-the-job skills, and hopefully, secure a longer-term visa sponsored by an employer. Last month, DHS announced it was reviewing this program and proposed to extend this 12 month runway by 24 months, specifically for STEM graduates. Engine supports the proposed OPT extension for STEM-educated graduates. It may seem like a nominal change, but this extra time could radically change the career prospects for many of the world’s most talented young workers. For careers in information technology and software engineering, this kind of on-the-job, applied training is an important aspect of a post-graduate education. Further, by granting F-1 visa holders slightly more time in the U.S., these graduates may also have a better shot at finding an employer willing to sponsor a visa for more permanent work authorization. Foreign students compete fiercely for admission into American universities, where they’re exposed to some of the world’s best technical and entrepreneurial training. Yet more often than not, it’s illegal for them to remain in the U.S. and dedicate their talents to American companies or even launch their own new ventures here. It makes no sense for the U.S. to continue training the world’s brightest and best, only to send them back home or to other countries with more welcoming immigration policies. While there remains a desperate need for large scale reform to allow foreign students to remain in the U.S. full time to contribute their much needed abilities to growing the U.S. tech economy, the OPT extension is an important step towards helping the U.S. retain talented individuals. Share your support for the proposal with DHS on or before November 18, 2015 by submitting comments here. Here at Engine, we are commemorating Veterans Day by driving and supporting conversation about #VetsWhoTech. We launched a booklet that follows the paths of seven successful veterans in the technology industry and calls on Congress to update services provided to veterans to reflect the changes in a 21st century economy. We shared many of these stories as part of our “Innovation for All” series on Medium. 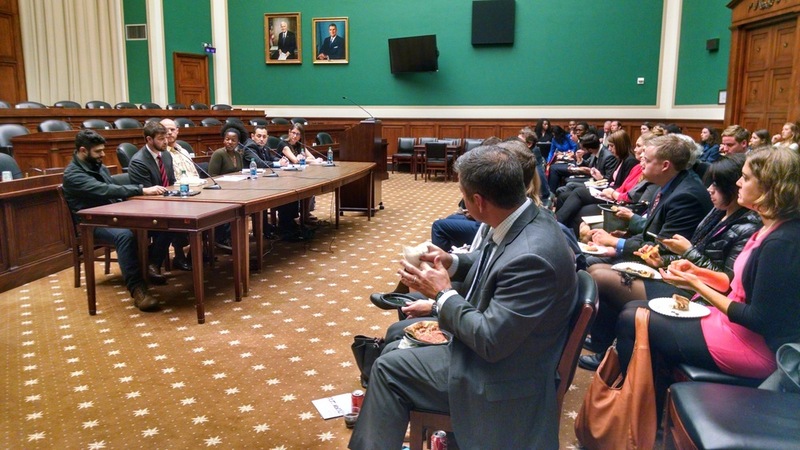 We hosted a briefing for members of Congress and their staff on Capitol Hill about “Veterans Diversifying Tech”. The event included a panel moderated by Engine’s Executive Director Julie Samuels and featured Todd Bowers (Director UberMILITARY, Uber), Nicole Isaac (Head of Economic Graph Policy Partnerships, LinkedIn), Steve Weiner (Co-­Founder, VetTechTrek), Andrew Kemendo (Founder & CEO, Pair Inc.), and Rob Polston (Recruiter, Amazon Web Services). But this is just the beginning. We’re calling on Washington to support policy that would better prepare our nation’s veterans for careers in the tech industry, with relevant training and resources before and after exiting the military. Our military is made up of diverse, driven individuals with a range of skills and experiences—and a diverse entrepreneur and employee population is key to ensuring the tech economy fosters prosperity, creates jobs, and improves our lives. We look forward to working with members of Congress on policy efforts aimed at strengthening the veteran tech talent pipeline. More Eyes on EU Data Laws. Congress examined international data issues at two separate hearings this week, covering everything from cross-border data flows to U.S. surveillance reform. But the main focus was the recent EU safe harbor decision. Negotiators have until the end of January 2016 to find a replacement for safe harbor. However, businesses of all sizes are already beginning to weigh whether they should simply move their data to European servers over concerns that alternative compliance mechanisms may not be valid. We’ve noted on our blog (and others agree), forced data localization would be incredibly costly - especially for smaller companies - and would have a chilling effect on internet innovation. We’re tracking. Pros and Cons in SEC’s Crowdfunding Rules. The release of the SEC’s long-awaited investment crowdfunding rules is a huge victory in itself: it facilitates an entirely new form of fundraising for cash-strapped startups. But, are the rules themselves any good? We’ve written previously about changes we wanted to see to the proposed crowdfunding framework, and the SEC’s rules incorporate a few of the items on our wishlist. Specifically, funding portals are now allowed to subjectively decide whether or not to list certain companies on their platforms and may take an equity stake in issuers, too. But, while the new rules ease some of the high disclosure burdens of the proposed framework, they do not go far enough to make investment crowdfunding affordable for small companies. A more detailed look here. Comprehensive Immigration Reform: Not Happening. Earlier this week, newly elected Speaker of the House Paul Ryan confirmed a suspicion most immigration reform advocates have sensed for years now: that the House will once again refuse to consider comprehensive immigration reform legislation. “I do not believe we should advance comprehensive immigration legislation with a president who’s proven himself untrustworthy on this issue,” Speaker Ryan announced emphatically on “Meet the Press” and repeated in an op-ed Tuesday. But while we won’t expect to see immigration reform on the legislative agenda, we at least expect to hear about it in the 2016 election cycle. Anti-Airbnb Measures Fails in SF. On Tuesday, San Francisco voters struck down a measure that aimed to curb Airbnb rentals (and those offered by other homesharing services) in their city, where the convoluted conflict between tech and housing is alive and well. Winning the the vote 55-45, Airbnb far outspent its opposition with an $8 million television, billboard, and canvassing campaign against the measure. Among the lessons learned from its victory? Airbnb representatives have said its user base of hosts and guests is willing and ready to mobilize on the company’s behalf, a movement we could see in more cities as Airbnb and other companies come up against new regulatory challenges. Internet for Everyone in Arkansas. The Arkansas legislature has promised it will have a plan to deliver high speed broadband access to every home, business, and institution in the state by October 2016. The “call to action” was inspired by similar broadband expansion efforts in nearby states like Kentucky and Tennessee. Arkansas’ House speaker noted that broadband “has become the 4th rail of economic development. It is just as important as your transportation infrastructure, your educational and workforce infrastructure, your tax structure.” We couldn’t agree more and are pleased to see states acting to ensure all of their citizens have access this essential resource. Former Twitter Engineer: Diversity is Difficult. An essay by a former lead engineer at Twitter is gaining momentum and attention, highlighting the challenges the tech industry continues to confront in making its workforce more inclusive. Leslie Miley recounts his efforts to increase employee diversity at the company, describing frustrating conversations with senior engineers who referred to diversity efforts as “lowering the bar.” The tipping point for Miley was when he pitched his proposal for hiring a ”Diversity Engineering Manager” and was met with suggestions from higher-ups that underscored “the unconscious tendency to ignore the complex forces of history, colonization, slavery and identity.” It was the culmination of these conversations and the refusal by leadership to acknowledge their own “blind spots” that drove Miley to leave. Podcasting Tech Policy on a16z. Engine Executive Director, Julie Samuels, spoke with Techdirt’s Mike Masnick and the host of the Andreessen Horowitz podcast earlier this week. Together, they covered a “whirlwind tour of current policy issues in tech - from patents and IP in China to cybersecurity, privacy, and Safe Harbor in Europe…And the gig economy, talent, and immigration.” That’s a lot of tech policy, and all in under 60 minutes. Listen here! #VetsWhoTech. In anticipation of veterans day, Engine is highlighting the success stories of veterans who’ve made strides as developers and founders in the tech industry. These stories showcase the great potential of this community to become leaders in the industry, as well as the ways in which government support for their efforts is falling short. Follow the series on Medium. In January, Engine launched the Diversifying Tech Caucus, a bicameral, bipartisan Caucus that’s now grown to over 30 members committed to increasing the number of women, minorities, veterans, and other underrepresented groups in the tech sector. Since then, Engine has hosted briefings on the Hill that further this conversation. This week, in light of Veterans Day, we hosted a briefing to highlight the work of veterans in the industry and how Congress can better support them. Moderated by Engine’s Executive Director, Julie Samuels, the panel included Todd Bowers (Director UberMILITARY, Uber), Nicole Isaac (Head of Economic Graph Policy Partnerships, LinkedIn), Steve Weiner (Co-Founder, VetTechTrek), Andrew Kemendo (Founder & CEO, Pair Inc.), and Rob Polston (Recruiter, Amazon Web Services). We must give veterans a running start BEFORE exiting the military to make them competitive candidates for tech industry jobs. The one week Transition Assistance Program is not enough for transitioning service members; currently, the Department of Labor’s employment workshop is a one-size-fits-all program that still leaves a lot of guesswork for newly transitioned veterans trying to get into the tech industry. Beyond simply accessing more information about appropriate job opportunities in the tech industry, service members should be encouraged to take up additional training or internships before they leave the military and be provided with the support to evaluate career options (and the skills they require) before they transition. For example, Amazon Web Services is partnering with Microsoft to hire some of the graduates of their Microsoft Software & Systems Academy—a 16 week development initiative focused on developing tech-ready, active-duty service members. Veteran entrepreneurs need a better network and access to capital. When members transition out of the military, they have little money in the bank and have a far smaller network of potential funders and co-founders than potential entrepreneurs who graduated from Stanford or worked at Google. This puts veteran entrepreneurs at a disadvantage. In order to make the connections they need to build funding opportunities, they need access to mentors and people with experience. The VET Act, introduced by Senators Moran and Tester, allows veterans to use GI benefits towards starting a business, but these entrepreneurs also need experienced funders and advisors that have started businesses and can provide connections to bigger networks, improving access to capital. Veterans have notoriously been an underrepresented community in the tech sector. But this panel (as well as the veterans featured in our latest booklet “Supporting Vets Who Tech”) demonstrated that there is room for the government to proactively make changes, working in conjunction with industry players, to improve veterans’ access to jobs in the tech industry. We look forward to working with members of Congress on policy efforts aimed at strengthening the veteran tech talent pipeline. Last week, the Department of Education announced a pilot program that will allow federal financial aid to be used toward coding bootcamps and similar “nontraditional” educational programs. The EQUIP (Educational Quality Through Innovative Partnerships) program will make it easier for students who rely on federal aid to access these in-demand educational programs. It will also provide an opportunity for the Department to evaluate the effectiveness of these programs and explore how to best monitor their quality. In recent years, the prevalence and popularity of coding bootcamps and other nontraditional education programs have skyrocketed. According to the Education Department, coding bootcamps will graduate 240 percent more students in 2015 than they did in 2014, up from 6,740 to over 16,000 graduates. This growth is not surprising—as the 21st century economy requires an increasing number of skilled workers, these institutions have risen to meet demand. The courses they offer help to alleviate current pipeline problems by channeling talented individuals into open, high-paying positions. General Assembly, one of the largest and most established bootcamps, reports a 99 percent placement rate in the field of study. And overall, 75 percent of coding bootcamp graduates are finding employment in their field of study and see a 44 percent increase in income according to a 2014 study. However, there is still a significant roadblock in place: students of most of these nontraditional programs do not qualify for federal financial aid. Imagine this: you’re a single parent working in an entry-level programming position. You’re looking to advance your career and have read about the emerging field of data science. You don’t have the resources—time or money—to attain a four-year degree in data science, but you find an interesting immersive “bootcamp” program that will train you in data science in just twelve weeks. 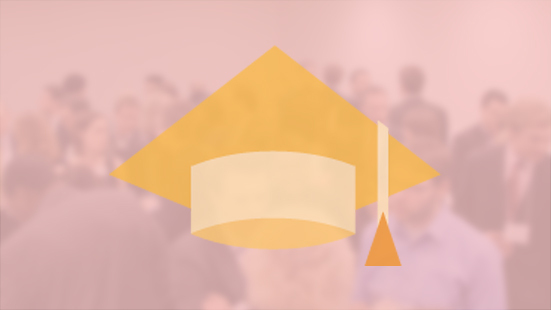 Even though this specialized program will train you at a fraction of the cost and duration of a traditional degree, in most cases you would not be able to obtain a federal student loan to help pay for it. There are two main reasons for this: First, in order for an institution to be eligible for federal aid, it must be accredited. The accreditation process is complicated and ill-equipped to assess these sorts of innovative programs whose courses are constantly evolving based on market demand. As we’ve written before, nearly all modern coding bootcamps and schools lack accreditation. Compounding the problem is a restriction on accredited colleges that limits the types of partnerships they can have with nontraditional education groups. For example, colleges offering federal aid cannot outsource more than 50 percent of any given program to third party institutions. So, if a resource-deprived community college wants to partner with an outside institution to offer a new program in an emerging field like data analytics, they can only do so if the outside institution offers less than 50 percent of the curriculum, assessment, or faculty. These limited partnerships have been successfully attempted by several educational companies—General Assembly with Boca Raton's Lynn University; edX with Arizona State University; Galvanize with the the University of New Haven—but there is still huge untapped potential being stifled by overly-restrictive and outdated rules. The EQUIP program aims to change this by loosening restrictions on schools that want to do innovative work with an alternative education provider. The program waives the existing 50 percent outsourcing prohibition for selected institutions under two conditions: a third party “Quality Assurance Entity” evaluates the outside partner and the college’s accreditor approves it. While the scope of the pilot will be relatively small, this balanced step will allow the Department to evaluate a model that could later be expanded to cover any partnership between an accredited institution and a nontraditional program. Right now the innovation economy desperately needs skilled individuals. Creative initiatives like the EQUIP program are a sensible way for the federal government to rise to meet this challenge and we hope to see more efforts like this one in the future. Federal Aid for Coding Bootcamps. On Wednesday, the U.S. Department of Education announced a new pilot program that will make it easier for a more diverse range of people to attend alternative education programs like coding bootcamps. Until now, students enrolled in “nontraditional” educational programs have not been eligible for federal financial aid. The new EQUIP (Educational Quality Through Innovative Partnerships) program will waive existing restrictions to allow federal aid dollars to be used towards approved alternative programs. While the scope of the pilot will be relatively small, this initiative is a great move by the Dept. of Ed towards making these popular and essential programs more accessible to all. EU Safe Harbor Ruling. Ars technica takes a deeper look at the far-reaching consequences of the EU’s safe harbor ruling in an article published on Thursday. Evan covered the impact this ruling will have on startups in a blog post last week, noting that “while larger companies have quickly moved to establish new legal pathways for importing EU data or have secured data centers in the EU, smaller companies face a more daunting task in trying to comply with now unclear data protection rules.” Ars goes even further, arguing that this ruling will have a dramatic effect beyond short-term global commerce—it will likely impact future trade agreements between the U.S. and EU, as well as the UK’s surveillance practices. Evidence of “Over-Removal” by Intermediaries. When intermediaries receive a take-down request, the easiest, least risky response is to take down the cited material - especially for small companies that don’t have the resources to hire a legal team to thoroughly evaluate each request. A literature review by Stanford revealed growing amounts of empirical evidence of “over-removal” by intermediaries (e.g. Google, Twitter, Facebook), further defining a problem that puts free-expression at risk. Better Crowdfunding Policy. In anticipation of the SEC’s impending release of the Title III crowdfunding rules, Engine published a white paper this week, “Financing the New Innovation Economy: Making Investment Crowdfunding Work Better for Startups and Investors.” The paper analyzes trends in U.S. and U.K. crowdfunding markets, which offer important lessons for U.S. regulators and lawmakers as we move closer to launching investment crowdfunding for retail investors. In Celebration of Ada Lovelace. On Tuesday we commemorated Ada Lovelace Day and celebrated the achievements of the first programmer and women in science and technology everywhere. News from Stanford emphasized progress: 214 women have enrolled as computer science majors, 30% of all enrolled computer science students. ECJ Invalidates Data Safe Harbor. On Tuesday, the European Court of Justice (ECJ) invalidated the European Commission’s “safe harbor” rules that permitted U.S. companies to self-certify compliance with European data protection rules in order to legally transfer EU customer data to the U.S. The court determined that U.S. legislation permitting the NSA to secretly collect and review consumer data was inconsistent with the EU’s Data Protection Directive. Consequently, the safe harbor framework was itself inconsistent with the Directive, as U.S. companies could not claim to have adequate data security protections in place. While larger companies have quickly moved to establish new legal pathways for importing EU data or have secured data centers in the EU, smaller companies face a more daunting task in trying to comply with now unclear data protection rules. Governor Brown Signs CalECPA. In a huge victory for startups and digital privacy, Governor Jerry Brown signed the California Electronic Communications Privacy Act (SB178), now the nation’s best digital privacy law, on Thursday. This landmark bill (which we’ve covered in past digests) updates digital privacy laws by requiring law enforcement to obtain a warrant before accessing an individual’s electronic communications. We are hopeful that this action by California will prompt similar movement in other states or at the federal level. Closing the Gender Gaps. California passed a (another) landmark piece of legislation that would require women to be paid the same as men for doing “substantially similar work.” Though the governor acknowledges that this bill won’t solve the problem, he expects it to “help accelerate [the] progress.” It’s an interesting development in light of the dialogue in Silicon Valley regarding the promotion and retainment of women in the tech industry. Meanwhile, on the federal level, Senators Maria Cantwell (D-WA), David Vitter (R-LA) and Jeanne Shaheen (D-NH) introduced a bill that would reauthorize and increase funding for the Women’s Business Center Program, which improves business training and counseling opportunities for women entrepreneurs. Capital Formation Bills Pass in House. The House passed two bills earlier this week aimed at making raising capital just slightly easier for startups. H.R. 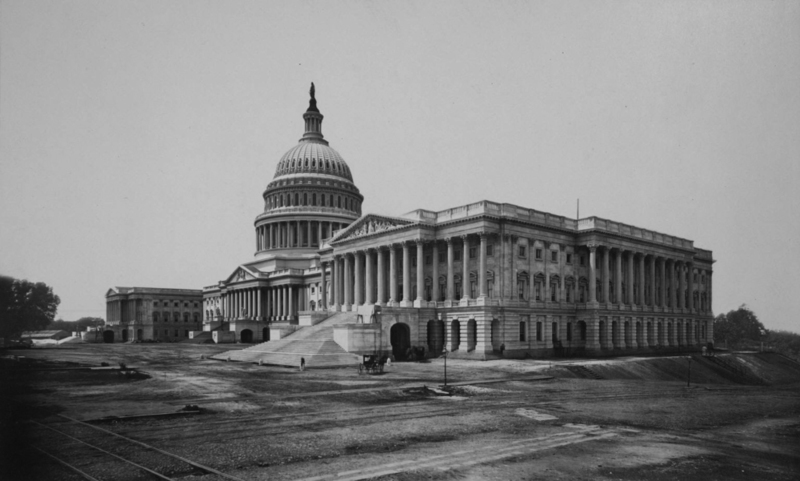 1525, the Disclosure Modernization and Simplification Act and H.R. 1839, the Reforming Access for Investments in Startup Enterprises Act, contain measures that simplify and codify some of the regulations that govern how growing private companies raise capital. It’s encouraging to see members of Congress seek out ways to support capital formation for our country’s emerging companies and we hope our senators follow suit. Marco Rubio Addresses Tech in NYC. Civic Hall hosted Senator Marco Rubio this week to talk about the on-demand economy. He spoke to the advantages of working for on-demand services, (flexibility of hours, mobility of work,) and recognized the need for a middle ground status between W-2 employees and independent contractors. He also called out incumbents, such as the taxi and hotel industries, for hindering innovation. It is the role of the government, Rubio said, to help those displaced by the new economy access the new economy through education and other opportunities. Regulating Drones. As the popularity and pervasiveness of drones, (or unmanned aerial systems, UAS,) increases, lawmakers are grappling with the best way to ensure safety and privacy without needlessly inhibiting innovation in this growing industry. On Wednesday, Representative John Garamendi (D-CA) and Senator Barbara Boxer (D-CA) introduced the SAFE DRONE Act of 2015, which prohibits drone flights within two miles of an airport or active fire. While some argue these sorts of rules should be left to the Federal Aviation Administration to craft, others are growing tired of waiting on the agency to act after it missed a Sep. 30 deadline to implement drone rules. Startups Defend Net Neutrality Order. The FCC is facing ongoing litigation in the DC Circuit Court of Appeals over the net neutrality rules it passed earlier this year, and on Monday, the court received briefs from a variety of companies and organizations supporting the FCC’s rules. Engine filed a brief along with a group of innovative startups that included Dwolla, Fandor, Foursquare, General Assembly, GitHub, Imgur, Keen IO, Mapbox, and Shapeways. We argue that the FCC’s decision to reclassify broadband as a telecommunications service was necessary to preserve the continued growth of the startup sector, which has in turn driven consumer demand for broadband and incentivized companies to invest in their networks. The court will hear oral arguments in the case on December 4 and will likely render its decision sometime next year. SEC To Finalize Crowdfunding Rules. Sources at the Securities and Exchange Commission have told Politico the agency is likely to finalize long-awaited crowdfunding rules in late October or early November. SEC rulemaking will put Title III of the JOBS Act into effect, which could radically expand capital access for startups—though the statute does contain some burdensome requirements for companies. While the startup community will be excited to see any action from the SEC in light of an extended delay, we need to ensure that whatever regulatory regime the SEC adopts is well-calibrated and accessible to the small, emerging companies that could most benefit from new sources of capital. Bush Campaigns Against Open Internet. Most of the Republican candidates in the 2016 presidential race have come to realize that an overwhelming majority of the public supports net neutrality rules (including 81% of Republicans) and have refrained from loudly criticising the FCC’s Open Internet Order. But this week, Former Governor Jeb Bush expressed his opposition to net neutrality (a policy he onced called “one of the craziest ideas [he’s] ever heard”), arguing that preventing ISPs from abusing their gatekeeper power does nothing to enhance consumer welfare. Bush’s comments run counter to both the FCC and the conservative DC Circuit Court of Appeals, which have recognized that net neutrality rules and foster the growth of the edge providers and promotes investment in broadband networks, resulting in better and more affordable service for consumers. It’s a reminder that startups, consumers, and everyone else who benefits from the open Internet should keep a close eye on this presidential race. Administration Taking Steps to Promote High-Speed Broadband Access. On Monday, the Broadband Opportunity Council published its first report, which includes 36 actions that federal agencies will take to encourage broadband deployment. These actions require no new funding, “but existing sources of funding are being opened up and barriers to deployment are being brought down.” Of particular note is that the White House refers to broadband as a “core utility,” like electricity or water. We tend to agree - broadband is no longer a luxury. Connectivity is core to innovation and the ability of startups to reach customers and scale, and we are pleased to see the Administration taking these steps to bring access to underserved populations and areas of the country. 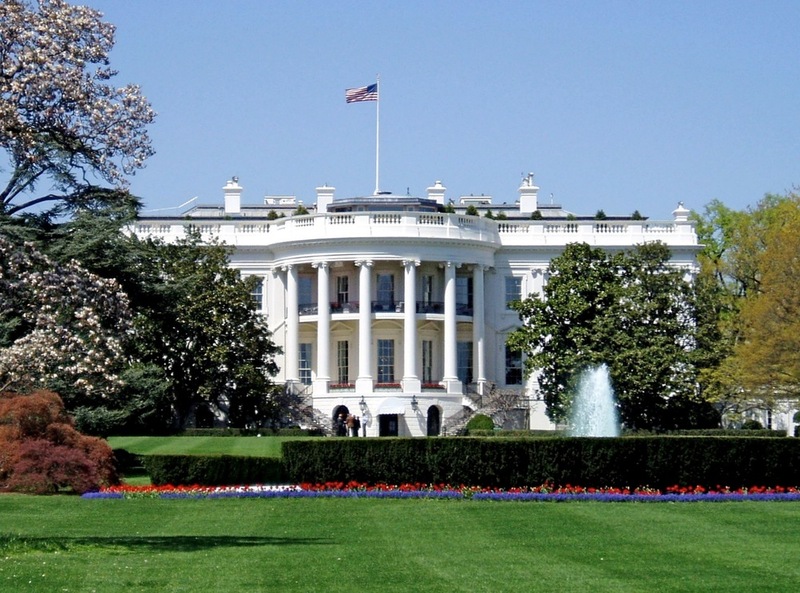 White House Considers Encryption. Thanks to some leaked documents from the White House, it’s rumored that President Obama may come out in opposition to a law that would require firms be able to unlock their customer’s encrypted smartphones and applications. Up to this point, law enforcement has argued the need for backdoors to encryption to ensure national security and safety. This sort of advocacy from the White House would help repair global trust in the US government, countering the narrative in Europe that the US is trying to expand its surveillance activities. Meanwhile, the American Civil Liberties Union (ACLU) and other privacy advocates continue to push the importance of US government’s use of encryption to promote both personal privacy and national security. ECJ Advisor Deals Blow to U.S. Tech Companies. In other data related news, a European Court of Justice (ECJ) advisor issued an opinion this week that the “safe harbour” agreement allowing for data transfers between the EU and the U.S. is “invalid” due to growing concerns around U.S. surveillance practices. While the lawyer’s opinion is not legally binding, if cemented by a formal ruling it would create a headache for U.S. tech companies who could face data localization requirements in any EU countries. Women Tech Leaders. Fortune profiles some of the powerful female talent Google has been able to attract at the executive level, including Ruth Porat, a recent addition who has led the transition from Google to Alphabet. Many of these executives after building their experience at Google have left to grow smaller tech companies. Meanwhile, Mary Lou Jepsen of Facebook has a different take: she sees many senior women leaving because they feel isolated by the tech industry. CalECPA Letter to Governor Brown Urgently Needs Your Signature. On Wednesday, the California Assembly passed the California Electronic Communications Privacy Act (CalECPA) with broad, bipartisan support. The bill (which we covered in last week’s digest) would update digital privacy laws by requiring law enforcement to obtain a warrant before accessing an individual’s electronic communications. The bill now heads to Governor Jerry Brown for signature, but opponents are campaigning aggressively for a veto. We’re sending a letter to Governor Brown urging him to sign the bill and modernize an absurdly outdated privacy law. If you are a startup and would like to lend your voice to this fight, please fill out this form by noon on Monday, September 14. Upcoming Tech Events. Catch our webinar on September 23, “How can startups work with government to promote innovation and new technologies?” Co-sponsored with Gide Public Affairs and ConnecTech, the webinar will look at how to incorporate a government relations strategy and leverage government resources to grow your startup, and how we can all advocate to protect the startup community. Click here to RSVP. Intelligence Reauthorization Bill Still Held Up Over Terrorist Reporting Provision. As Congress returns to session, a bill to reauthorize funding for intelligence agencies continues to be held up in the U.S. Senate over a provision that would require social media and internet companies to police the speech of their users and report apparent “terrorist activity.” Opponents argue that the bill’s vague legislative language will result in a compliance nightmare for the wide range of companies that will be subject to the bill’s requirements. Senator Ron Wyden (R-OR) has vowed to block the bill until these concerns are addressed. We will be monitoring closely, as the currently ill-defined requirements could be overly burdensome and difficult to navigate for many startups. An Immigrant Entrepreneur’s Story. "Our immigration system hinders entrepreneurship, innovation and productivity," writes tech entrepreneur, Amit Paka, and we couldn't agree more. Paka shares his story of patiently navigating the irrationally complex immigration system to at long last obtain residency status and become a U.S. citizen. And in that time he also founded two companies, despite significant obstacles. This broken system impedes opportunities for entrepreneurs - the men and women creating new technologies and jobs in this country every day - yet it remains to be seen whether real solutions are in sight. Patent Reform. Lot’s of news on patents this week. House Judiciary Chairman Bob Goodlatte expressed confidence that patent reform legislation would get a vote in the weeks ahead. The NY Times wrote in an editorial that “patent law should not be used to prevent consumers from reselling, altering or fixing technology products.” And the patent research platform Patexia launched a new initiative using crowdsourcing to help companies share some of the burdens associated with patent litigation. In case you missed it, check out our recent post on the status of patent reform efforts in Congress. A Safety Net for the On-Demand Economy. As lawmakers continue to grapple with the gig economy’s dramatic transformation of the American workforce, recommendations are emerging around which policies will best serve the growing class of on-demand workers. On Wednesday, the National Employment Law Project published a report calling on lawmakers to classify on-demand workers as employees and extend a number of protections and benefits to them. Freelancers Union founder Sara Horowitz proposed additional solutions in a New York Times op-ed published Wednesday, arguing for the creation of a “new system of portable benefits” to better provide a safety net for workers in the freelance economy. These are important conversations for the startup community to take part in as the debate continues around how to best support this new class of workers. Diversity in Tech. African Americans face serious challenges in entering the tech field, even if they live just miles from Silicon Valley. Profiling several new organizations including the Hidden Genius Project, based in Oakland, the New York Times highlights how the tech community’s debates about its lack of diversity have spurred initiatives to educate, train and support underrepresented minorities to enter into and succeed in the industry. African Americans have become an especially important focus: they currently make up only 7 percent of the tech workforce and receive only 1 percent of VC funding. See more on Engine’s work to diversify tech here. Tech Leaders in Politico 50. The Politico 50 is out, recognizing some of the people transforming American politics this year. The list includes a number of tech leaders, including Engine board member Marvin Ammori, along with Susan Crawford, Tim Wu, Michelle Lee and Chris Soghoian. Congrats to everyone who made the list! Growing Support for CalECPA. Right now it's still legal for law enforcement to access your emails and other digital data without a warrant. SB 178, the California Electronic Communications Privacy Act (“CalECPA”), would change that on the state level by modernizing outdated digital privacy laws. The bill passed the California Senate back in June, but still faces a couple of hurdles, including a vote in the Assembly that should take place in the next couple of weeks. The LA Times just endorsed SB 178, noting that “Californians need the protections offered by SB 178, and the bill deserves the Legislature's support.” A poll published this week found similar support among California voters, with 82% of participants agreeing that law enforcement should get a warrant before accessing an individual’s digital data. Engine echoes this endorsement of SB 178 and hopes to see California take the lead on updating its privacy laws to keep pace with the changing digital landscape. The Future of Higher Education. Daniel Pianko of University Ventures writing in TechCrunch argues that the lack of innovation in higher education is due to a lack of commitment from Silicon Valley billionaires. “Today’s current generation of entrepreneurs are spending their energy and resources lobbying for band-aid solutions like H-1B visas, when they could be reimagining the current pipeline to address the lack of female and minority engineers in their companies.” Pianko points out that it was investment from 20th century titans of industry like Johns Hopkins and Andrew Carnegie that created the modern research university, and forced schools like Harvard and Yale to evolve in order to compete. He also points to non-traditional education models being pioneered at places like Galvanize. Here’s a look back at a deep dive we did on education policy and its impact on innovation. New White House Hire. The White House announced that they are hiring their first Director of Product this week. Josh Miller, a startup founder who sold his company to Facebook last year will lead efforts to improve their existing digital products and look to develop new ones. Miller has a history of bringing a tech perspective to civic engagement. This marks yet another move from an administration that seems determined to engage with startups to improve the way government functions. Diversity in Tech. Troubling new data from the Pew Research Center shows that “businesses owned by women and minorities bring in far less revenue than firms with male or non-minority owners.” The research finds that even when you look at sectors where women tend to fare better, the problem persists. This Fortune article hypothesizes that one big factor may be a lack of investors--a problem that has been documented before. Engine will continue to work on access to capital issues, particularly as it affects founders from underrepresented groups. Stay tuned for more on that in September…. Drones. The National Journal reports that in the absence of federal regulations, 26 states have now passed local legislation to limit the operation of drones. This patchworks of regulation is causing concerns for operators and commercial users. Hopefully the months ahead will see a thoughtful approach to protecting safety and privacy that doesn’t needlessly throttle innovation in this growing industry. Car Hacking. The debate over how to make Internet-connected vehicles more resistant to cyber attacks is heating up in Washington. Much of the discussion will center around whether these are problems that can be solved within the industry, or if government action will be necessary to spur automakers to act. Venue Reform. 44.4% of all patent cases are filed in the Eastern District of Texas. And that’s no accident. Our friends at EFF took a close look at the numbers, and found that the “probability is so vanishingly small that you’d be more likely to win the Powerball jackpot 200 times in a row”. So why are so many cases filed there? Because the Eastern District is notoriously friendly to plaintiffs, making this an ideal location for patent trolls to operate. More on the numbers, and the need for venue reform, here. And read our recent take on the problem here. Copyright Law and Creativity. Copyright law's principal purpose is to encourage creativity: giving creators exclusive control over their content, the argument goes, will allow them to earn enough money to sustain further creativity. The trajectory of copyright policy in the past few decades seems to operate on the reductio ad absurdum that if exclusive control over content leads to more creativity, maximum control must lead to maximum creativity. It is no surprise, then, that content industries reacted so strongly to digital technologies that could weaken control over the distribution of their work, arguing that the Internet will ultimately destroy creative industries. But, as the New York Times highlights, this argument doesn't hold up all that well in practice. On the contrary, creative production has exploded with the rise of digital distribution technologies. The findings should give policymakers pause about further ratcheting up copyright protections like term lengths and infringement penalties that already likely diminish rather than promote creativity. We wrote more about the negative impact of punitive copyright law here. Diversity in Tech. The Verge took a close look at the diversity numbers at some of the largest tech companies. And while the numbers aren’t good, they also point to some of the problems with the ways employment data gets reported to the federal government. If we’re going to make progress in diversifying the tech sector, we need data that accurately reflects the problem and the way it responds to various efforts from both the private and public sector. Check out some of Engine’s work on diversifying tech here. Taxing the Digital Economy. The Wall Street Journal looks at ways different states are trying to collect taxes from new technologies to offset losses in sales tax and other traditional sources of revenue. While states are reasonable to want to collect funds they are due, this kind of piecemeal approach creates serious regulatory issues for startups that operate nationally or globally. And it has the potential to push entrepreneurs out of states with particularly onerous policies. More here on the dangers of trying to apply old tax and regulatory schema to new technologies. Drones. As drones (or unmanned aerial vehicles, UAVs) go mainstream, and some disrupt air traffic, policymakers are looking to apply rules that would limit their ability to cause danger or invade privacy. Sen. Chuck Schumer (NY) is pushing to require dronemakers to develop technology that would keep drones from entering restricted airspace. This sort of geo-fencing provision will likely find its way into negotiations over the extension of the FAA reauthorization bill next month. Meanwhile, researchers at UC Berkeley are testing a license plate for drones consisting of multicolored lights on the bottom of an aircraft. The unique pattern of blinks assigned to each drone could be identified in a database by law enforcement. Decoding the On-Demand Economy. Policymakers (and presidential candidates, too) are grappling with how to interpret the emerging on-demand economy and too often, as Devin Findler of Institute for the Future points out, this industry is wholly categorized as either good or bad. The conversation among regulators, policymakers and even media critics should instead seek to understand the underlying technologies transforming sectors of our economy and how new platforms built on top of those technologies can be "intentionally designed to maximize the benefits for everyone connected to them." IFTF recently sat down with the Department of Labor to share these more nuanced insights about the future of work - we need more of these conversations happening at every level of government.